A Live Out Nanny in DC can be a wonderful addition to any family seeking full or part time care for their children! A Live Out Nanny in DC like Giovanna can assist with even the most hectic households! "I am a family oriented person with a strong will for taking care of children. I am very athletic and spend a lot of time running. I have great morals; I am very honest, responsible, and loyal. I have a great intuitive sense when it comes to taking care of children; I truly believe I would make any family very happy! If I was asked to describe in one sentence the reason I have chosen to be in the Nanny profession over any other, it would have to be because I love children. I have been serving in some form of childcare experience for over 10 years and can honestly say that I love what I do! I feel the children are wonderful gifts from god, which in time will become our future. They are so innocent and ready to learn and soak up any information. They are fun and full of happiness! My goal as a Nanny is to be exactly who the parent needs me to be. I will support their decisions and assist in every way they need. I want to make sure the children are happy, occupied and to make sure that I keep their house a home. I am willing to do housekeeping at the children’s request that includes anything that includes making some food, cleaning up in the kitchen, picking up all over the house from that day, keeping the house nice and tidy. Mainly things done indoors, I am open about housework, because I would probably keep the house clean anyway. If I had to describe myself in five adjectives, I would say that I am honest, funny, respectable, creative, and loyal. Activities that I would like to incorporate in the daily plan for the family I care for would absolutely include crafts; I have plenty of children’s craft ideas. I would also enjoy taking trips to the town pool, the park, and even plan a family game night. I would make sure homework would be completed first, which I would gladly love to help with as well. I am full of ideas and as soon as meet the parents and the children, I could get a better feel for which activities would be most appropriate. If asked to describe the perfect family seeking a nanny like me I would hope they would be parents with good structure and morals, and parents who are genuinely nice." "Giovanna was certainly always professional, on time and committed. With my schedule constantly fluctuating, Giovanna was always there with full commitment. In the beginning, I asked Giovanna to shadow me to understand my daily routine with my girls and she fully grasped my concept. I was completely satisfied with all of her work and although I do not use her on a daily bases anymore she still cares for my girls while my husband and I have our date nights. 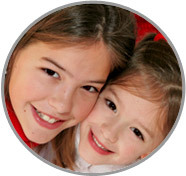 I recommend her to any family seeking dependable childcare from a Live Out Nanny in DC." "Giovanna worked for us for a while. She not only fulfilled the job requirements, but also exceeded all of my expectations. My children loved having her there and felt safe, cared for and excited when she came. She was a pleasure to have in my home. I felt that her patience for young children was extraordinary and my children benefitted from the time she spent with them. We have employed Giovanna for many years now and I am having a difficult time trying to find what area she could improve on. My children respect her as an adult, but also know that she can be a softy when it comes to second helpings of dessert or an extra story at bedtime! There is nothing more important than trusting the caregiver of your children and I have always been able to do that with Giovanna. She has grown up before our eyes while working with my family. I am honored to say that she has grown into a very trustworthy, reliable adult who has natural nurturing instincts and a calmness about her that transcends into the children in her care. I am grateful that we found her and highly recommend her." "Giovanna was wonderful with my children! She would take my daughter to and from school without hesitation. She would even take her overnight when needed. She has also taken excellent care of my son that has special needs. I never once had to worry about my children. I knew that they were in great hands. My children and I have formed an unbreakable bond with Giovanna. She is not only caring and attentive with children but to everyone that she meets. She is very a patient and positive person! Giovanna will be an asset as a Live Out Nanny in DC!" "I always feel safe when Giovanna is caring for my children. She takes it upon herself to solve any problem; which helps me when I am at work. She is extremely caring. I trust her fully with her being in my home as well as being on time with what I need her to help me with. She will be a great Live Out Nanny in DC for any family. I have no complaints, only positive experiences!" "Giovanna is great as a Live Out Nanny in DC and the children really love her! She was a pleasure to be around. The children enjoy playing with her and she is very creative in the activities she comes up with for them. Giovanna is truly dedicated to childcare and it is obvious. She has plenty of energy to keep up with multiple children at a time, while maintaining a pleasant and positive demeanor at all times!"